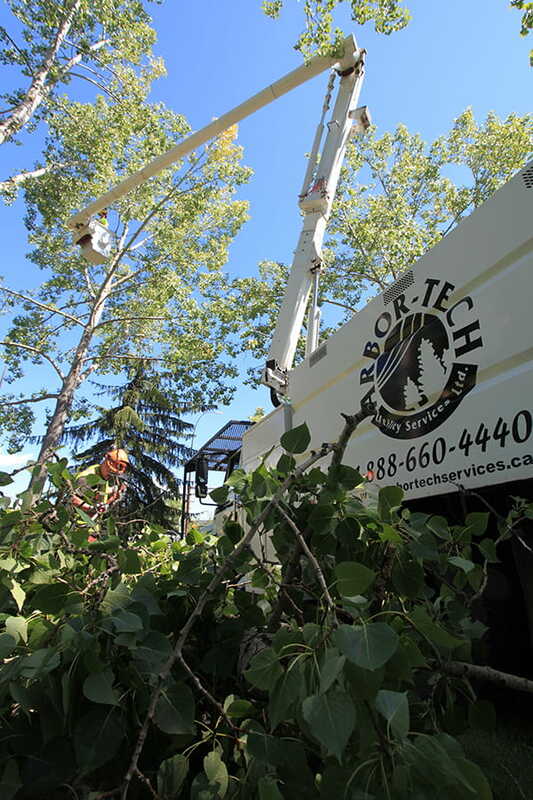 Established in 2003, Arbor-Tech is an Alberta-based, full-service vegetation management company providing professional services to the Utility, Oil and Gas, Pipeline, Forestry, Municipal and Government Sectors. We specialize in tree and brush removal, tree trimming/pruning, tree health care (including disease management), hazardous tree removal, mulching, fence and gate building, herbicide application, consulting/patrolling and consenting. We have a team of highly qualified and dedicated employees, an industry-leading Health and Safety Program, a range of state-of-the-art equipment and a commitment to build and maintain a strong and proactive culture of high-quality services for our customers. Above all we strive to provide safe, efficient and cost-effective solutions for all customer requirements. 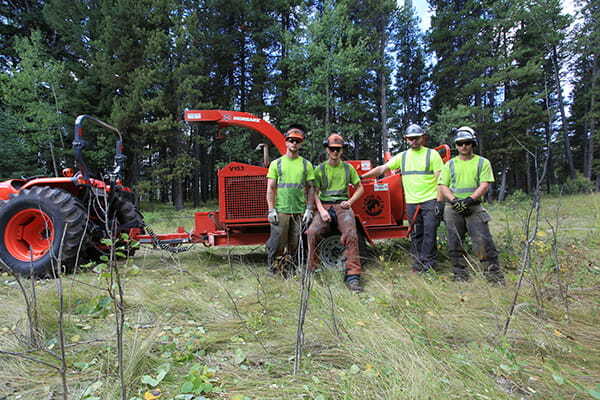 Arbor-Tech is a highly qualified and diverse team of hard working, professional, utility and commercial/residential tree workers, dedicated to providing the best service available in the vegetation management industry. We have successfully grown by attracting the best possible team members from across North America. This has allowed positive business growth while maintaining our culture and core business values. Arbor-Tech strongly believes in investing in our people through an intensive training program. Arbor-Tech continually updates and adds training and safety courses to help improve the quality of the individuals we supply on our crews and to our customers. We even bring in industry experts to train our staff on specialized techniques. We recognize field staff who work safely and follow our policies through our Safety Leadership Recognition Award Program. All Arbor-Tech personnel are trained extensively and provided mentorship to ensure excellence in safety, efficiency, workmanship and environmental stewardship at all times. 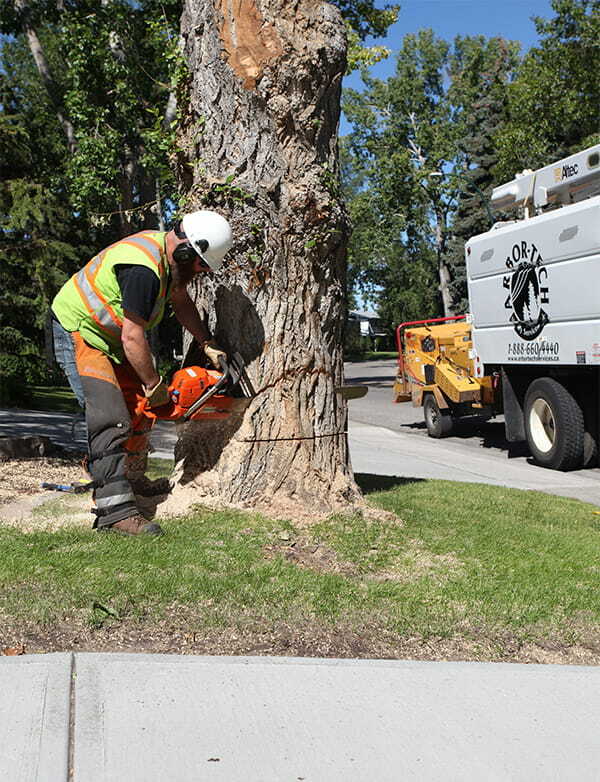 In particular, all personnel who have met the minimum 3 years of experience requirement are supported to become ISA Certified Arborists, and all foremen are supported in training for and obtaining their Utility Tree Trimming (UTT) certification. We are detail-oriented and have processes in place to track, update and ensure timely completion of work volume. Consistent supervision and inspection allows Arbor-Tech to assure our customers excellence in delivery and quality through reliable products and services. It is the mission of all Arbor-Tech management and employees to provide safe, reliable and innovative services to our customers in a constantly changing environment. We strive to build, service and maintain strong long-term and trustworthy relationships with our clients and their customers for the benefit of all.